Tired of the same old burgers and fries and tacos? We know the feeling! That’s why Resident Magazine prepared a top three of our latest favorite Italian restaurants list for you. From traditional to contemporary cuisine, the old pasta can be new again and it will surprise you. 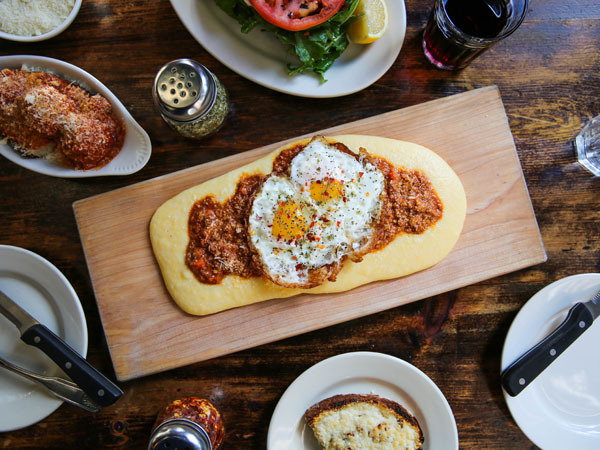 Let romance flow at this classic Italian restaurant on the Lower East Side. As the name says, it’s all about the sauce, rich and fresh. The traditional cuisine and homemade pasta will make you feel like you’re part of a big Italian family at those Sunday lunches prepared by nonna. Great for group dining and events, the restaurant has a large bar area and an outdoor seating space. Opened for brunch and dinner, try everybody’s favorite: the meatball dish. 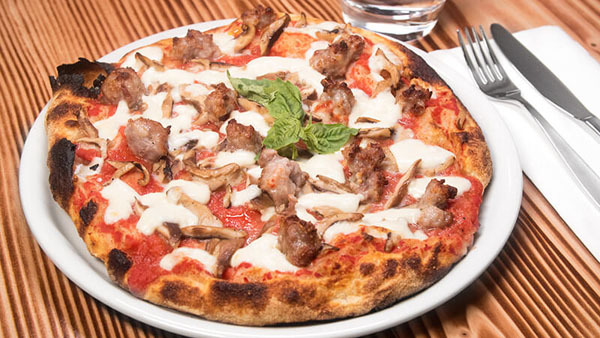 You don’t have to go to Rome anymore to experience their famous pizzas and pastas. 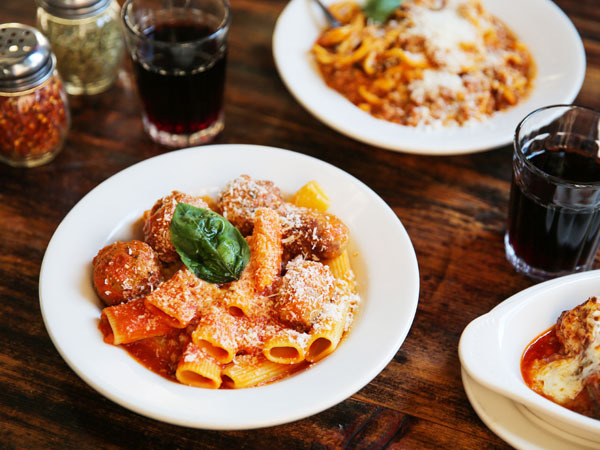 Mani in Pasta’s Gramercy location on East 14th Street can offer you that in an intimate and cozy, full-service restaurant, owned by award-wining Italian pizzaiolo Giuseppe Manco. Although it has just recently opened, the place has already leveled up the pizza game in the city. The toppings are “simple” as the chef likes to say, but the large 4×3 slice options are creative and unique—light, crispy and flavorful with fresh ingredients like his favorite, the Regina with tomato sauce, cherry tomatoes, buffalo mozzarella and micro basil. You also need to try the appetizers, salads, Panini and imported gelato so you’re going to understand why New Yorkers are crazy about Mani in Pasta! Open daily for a quick bite or a lengthier dining experience, prices range from $3 to $32. 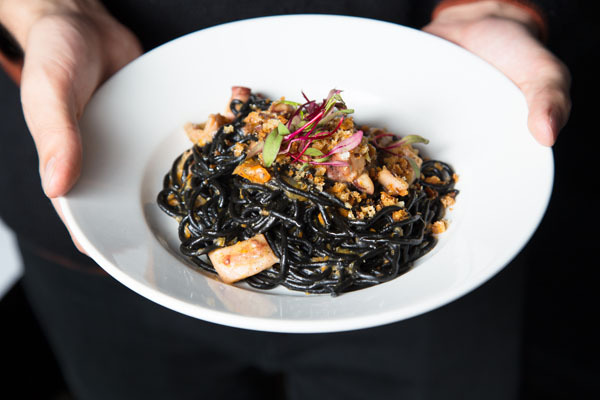 Step back from the crowds and give yourself some time to enjoy the pleasure of eating delicious pasta and drinking a great wine in the heart of Harlem. Opened since 2013, the Italian-Spanish inspired cuisine restaurant Vinateria is your next destination for dining out in the city. 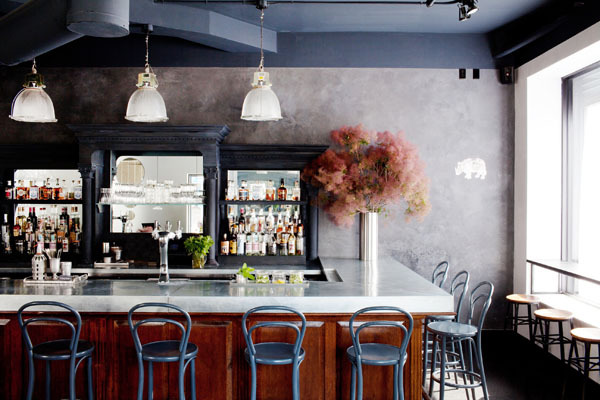 Owned by Harlem native Yvette Leeper-Bueno and run by a team of women—Executive chef Mimi Weissenborn, bar director Ashley Lugo Brown and consulting wine director Chelsea Carrier. 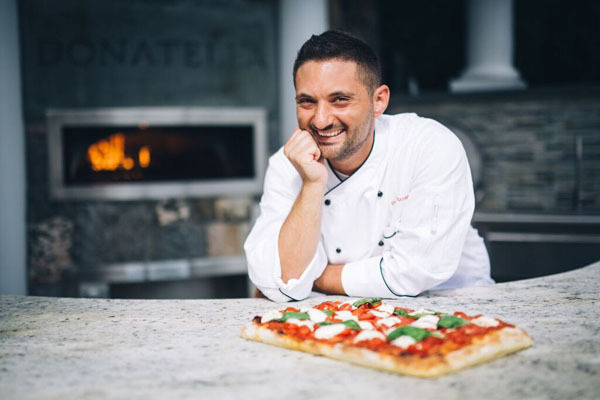 Vinateria is not just another traditional trattoria. Fashionable, modern and beautifully designed, the place is inviting and all the decor details were carefully chosen, like the decorative herbs on the windows that emit a pleasant fragrance inside. And since sustainability is important, many of the furnishings and objects, like the vintage bentwood chairs and the milk glass shades used in the hanging lamps were bought at flea markets and secondhand stores. The long dining tables were designed with recycled wood and the tall bar tables were made by adding new aluminum tops to old industrial stands. As the name suggests, the wine of Vinateria is their menu’s primi. The list is full of selections from small producers and accessible finds from the Mediterranean coast. But if you’re in the mood for a cocktail, they have an extensive list of options that makes use of house-made tinctures, seasonal produce, and fresh-grown herbs from the restaurant’s own garden. Recommended by the Michelin Guide and winner of the Wine Spectator Award of Excellence last year, Vinateria is a must go at the corner of Frederick Douglass Blvd.